Kimonos aren't necessarily anything new in the world of fashion, but thanks to recent looks from elite street style stars, we are seeing them in a whole new light. In other words, they've been wearing some of the best kimono outfits ever. Since fashion week brings out the best of the best in the fashion community, it came as no surprise that the outfits of nearly every human walking the streets of Paris, Milan, London, and New York were pristine to the max, especially the ones involving sweeping and beautifully patterned kimonos. Ahead, take the time to admire the styling techniques and tricks from fashion's superstars, if you will, along with the multiple kimono styles that you may have forgotten about over the years. Once you're done with the best kimono outfit eye candy, shop some of our absolute favorite pieces on the market right now. 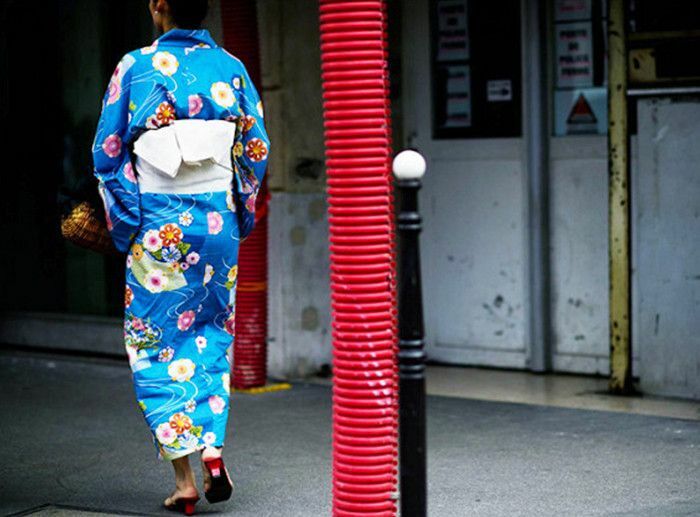 Keep reading to see the best kimono outfits from the fashionable people we love and shop kimonos of all kinds! We are loving how all these patterns effortlessly play off each other. Embrace the trend while staying warm at the same time. Simple and classy, just the way we like it. This kimono will make you feel like you never left your bed. The statement third piece you've been looking for. Our new favorite way to wear velvet. With this intricate embroidery and fringe, this kimono is definitely worth the splurge. Denim in kimono form? How can you resist? The detail on this kimono is swoon-worthy. What are some of your favorite ways to style a kimono? Let us know in the comments below!